The prospect of having your own payment gateway like Stripe or Square often seems to be the light at the end of the tunnel and the goal that, once achieved, will allow you to solve much of financial and technical problems your company experiences. Or course, building your own payment gateway is a costly and labor-intensive process itself, so often it might be more beneficial to switch to some kind of a white-label payment gateway solution. 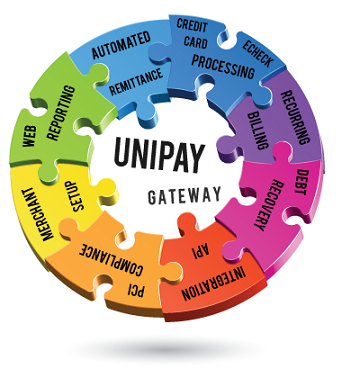 For many merchants and payment facilitators, white-label solutions, offered by platforms like UniPay Gateway, might, actually, be the most suitable alternatives. If high credit card processing fees seem to be your main problem, then you should think twice before actually switching to an alternative payment gateway solution. While gateway fees may decrease, a lot of new costs will emerge, and in order to benefit from the transition, you will need to process really large consolidated transaction volumes. Read more about payment solutions, providing alternatives to Stripe or Square in our respective article on Paylosophy. Looking to create your own payment gateway similar to Stripe or Square? Learn how you can benefit from the white-label solution and get your own payment gateway without building it from scratch. What’s So Challenging About Building Your Own Payment Gateway? Your Own Payment Gateway: Is it the Right Thing for You?